The case has re-opened the debate on the limits of assisted suicide. Germany's highest court on Tuesday began hearing a case brought by terminally ill patients and doctors against a law banning professional assisted suicide services, reopening a bitter debate. Lawmakers had passed the so-called Paragraph 217 in November 2015, which penalises anyone who turns assisted suicide into a professional service - with or without payment. But a Leipzig administrative court's ruling two years later raised questions about the law, as judges found that in extreme cases, the authorities could not refuse life-ending medication to terminally ill patients. 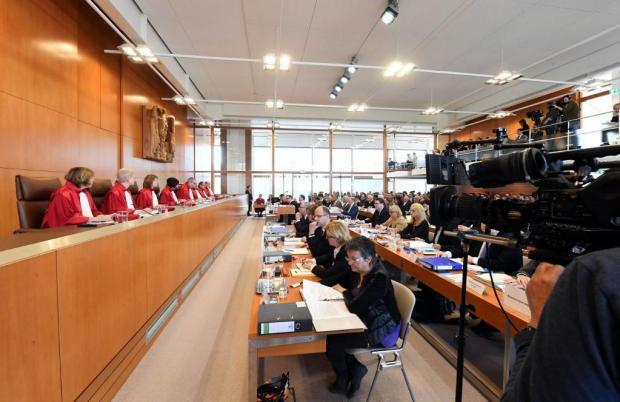 Opening the hearing at the Federal Constitutional Court on Tuesday, chief judge Andreas Vosskuhle said the case is "not about the moral or political assessment of suicide and its impact on society... but is focused alone on the scope of freedom as limited by the threat of state prosecution under (Germany's) Basic Law." The latest challenge was brought by six plaintiffs, among them terminally ill patients, doctors and associations that provide support to people seeking assisted suicide. But an association or a business that repeatedly offers to help people die would face prosecution. Doctor Matthias Thoens told the DPA news agency that since the law came into force, he has been worried he could be charged if any of his patients were to abuse the palliative drugs he had prescribed. As his fellow plaintiff and doctor, Michael de Ridder, wrote in the weekly Die Zeit: "There is not only a right to life, but also a right to self-determined death." Euthanasia is officially legal in only three countries in Europe - the Netherlands, Belgium and Luxembourg - but others allow or tolerate a form of assisted suicide.